Are you looking for a cost-effective and reliable EPOS system? If so, give CCM EPOS a call now on 01202 302666 and speak to our helpful and informative sales team. Regardless of your setup, our insightful team will recommend the most efficient system for your business. From all-in-one to mobile solutions, our cheap EPOS systems are the most reliable on the market. If your business is still using cash registers from the 1990’s, it’s time to make the switch to our clever and cheap EPOS system. The products supplied by CCM EPOS have been designed to make your employee’s lives easier. Able to handle a multitude of functions and requests, our EPOS systems will make everything faster and easier allowing you to serve more customers and generate more revenue. Whether you need a single EPOS system for your shop or several as part of a restaurant fit-out, our team has you covered. We not only supply these systems, but we also help to integrate them into your operations and will even provide a full demonstration to you and your team. To learn more about our products and how we can help, see below. What can our EPOS system specialists do for you? Here at CCM EPOS, we supply both the All-In-One EPOS system as well as the Mobile EPOS solution for businesses across Dorset. Cheap EPOS systems don’t come better than the fantastic All-In-One EPOS system from CCM EPOS. 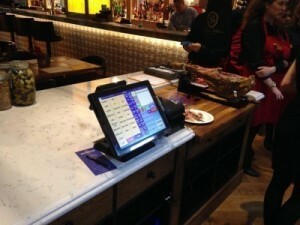 Featuring conventional computer-based systems housed in a compact design, these systems can be utilised for both retail EPOS and hospitality EPOS environments. Sporting a Projected Capacitive (PCT) Screen, these EPOS systems are robust while remaining fast and responsive allowing for transactions to be processed quickly and accurately. Each system features Windows CE as well as proprietary software designed to provide you with all the features you need at a reduced price. Plus, with integrated receipt printers and card readers, you’re good to go. 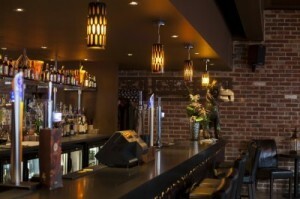 Our cheap EPOS systems can even be mounted on walls adding extra versatility to an already versatile device. Other key features include multi-screen functionality, Wi-Fi communications, optional battery mode, graphical tablet management, reprinting of receipts, discounts and much more. Imagine all the benefits of our All-In-One system in the palm of your hand? With the excellent Mobile EPOS system, imagination is now a reality. Our cheap EPOS systems just got a whole lot smaller with a device that has been designed to excel in fast-paced environments. Suitable for all businesses operating within the hospitality and catering sectors, these fully portable devices from PocketTouch offer a paper-free alternative to conventional systems. Here at CCM EPOS, we supply Mobile EPOS systems that are fully customisable and configured to work across a host of devices such as Android, iOS and Windows. With the option to easily update information such as menus and adjust orders on-the-fly, these devices will help your team cope under pressure. All confirmed orders will be transmitted in real time to the kitchen or bar, thereby, increasing accuracy while reducing any wastage. On top of all that, we also provide web based solutions, EPOS stock control functionality, and apps and online ordering to help you get the most out of your devices. At CCM EPOS, we even supply high-quality inks, parts and peripherals and A-Grade till rolls to keep your EPOS system ticking over. So, if you’re in the market for a new set of EPOS systems feel free to get in touch as we’ll be more than happy to answer any questions that you might have. What makes us the best choice for cheap EPOS systems? Whether you’re starting up a new company or looking to sling out your old cash registers, you need the most affordable solutions, and CCM EPOS can help. As a company with years of experience, we are committed to upholding our integrity by keeping our promises. When you choose us to supply your cheap EPOS systems, you’ll receive bespoke solutions from our resourceful team. At CCM EPOS, we are passionate about delivering the best products at the most competitive prices. Our staff are committed to meeting your expectations head on and ensuring that you receive a high level of professionalism from start-to-finish. We assist small and medium sized businesses across Dorset and are happy to visit your site for a friendly chat. So, if you’re in need of the most reliable and cheap EPOS systems, contact us at CCM EPOS a call now on 01202 302666. For all general enquiries, drop us an email at info@ccmepos.com.